If you are wondering what new project might be right for the New Year, here’s something really special. And if you do attempt to make these cookies, please be sure to send photos so I can blog about your success! Start by preparing your cookies. You can use any flavor of cutouts for this project, but I, personally, went with a plain sugar cookie. 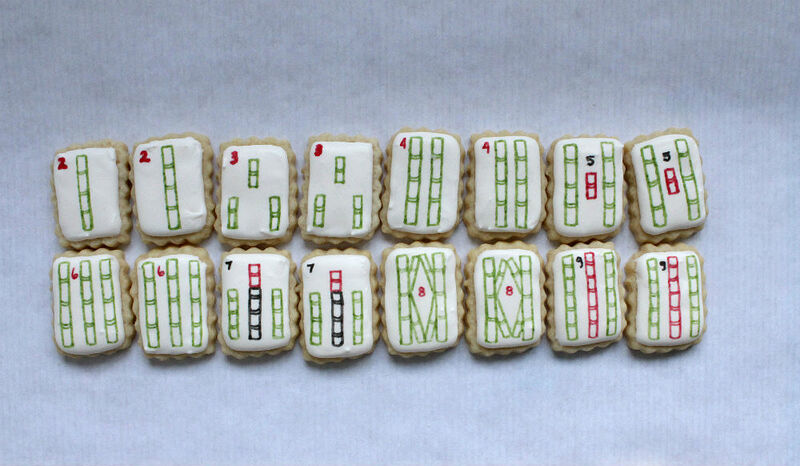 Since these are supposed to look like Mahjong tiles, you’ll want to cut the cookies into small rectangles. 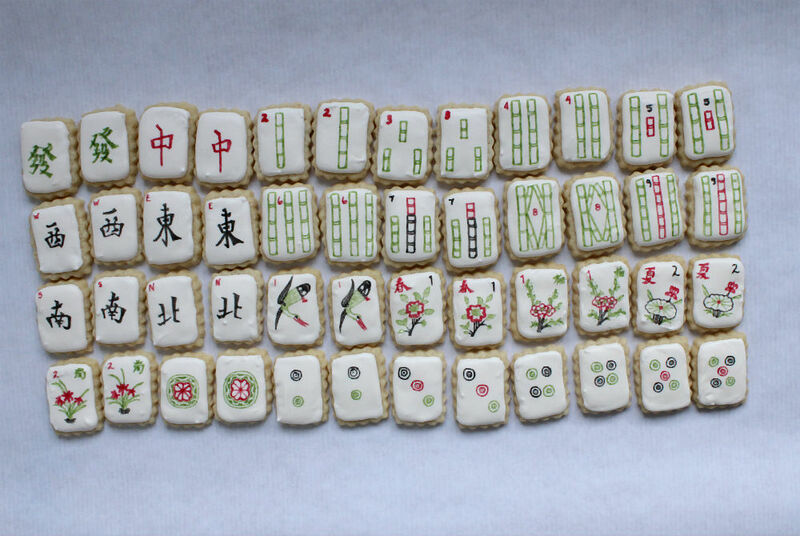 Technically, a Mahjong set has somewhere around 144 tiles, but, for me, decorating 144 tiny cookies wasn’t very practical. Instead, I made about 50 cookies so that I would have about 2 cookies for each design, but you can really make as many as you’re willing to decorate. Once my cookies were baked, I gave each a base coat of off-white royal icing (I used beige food gel to tint it) and let them dry overnight. 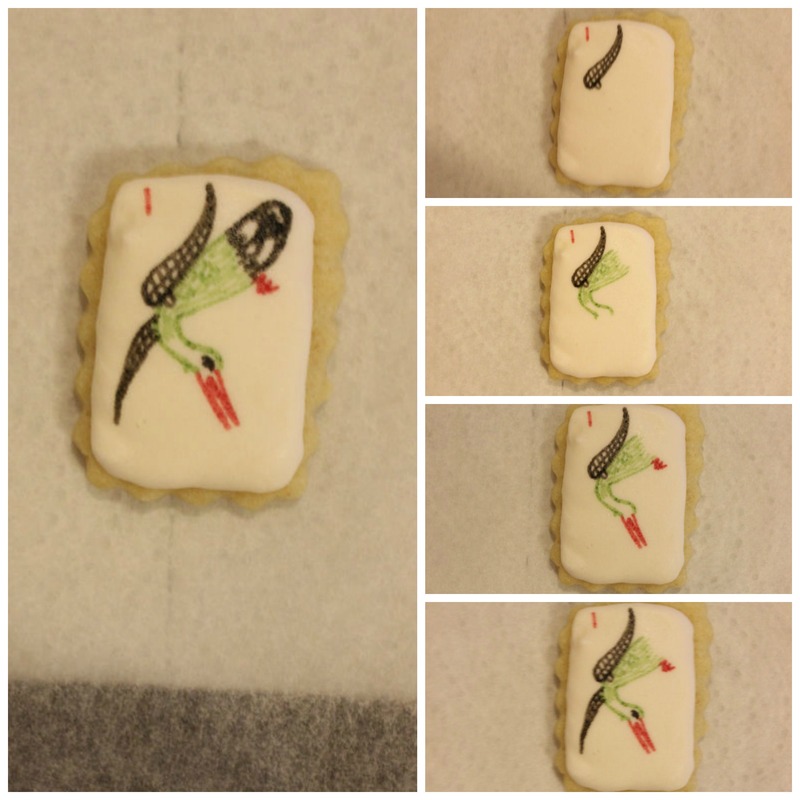 Once your royal icing has hardened, you can start drawing the designs. If you don’t have edible markers, you can easily use a small brush and watered down food gel coloring to paint the designs on. I’m afraid I don’t have my usual step-by-step tutorial for these cookies, because, in all honesty, these cookies are kind of a “look at the image and draw it on the cookie” sort of cookies. The cookies with the dots are very simple, and don’t really need much explanation. 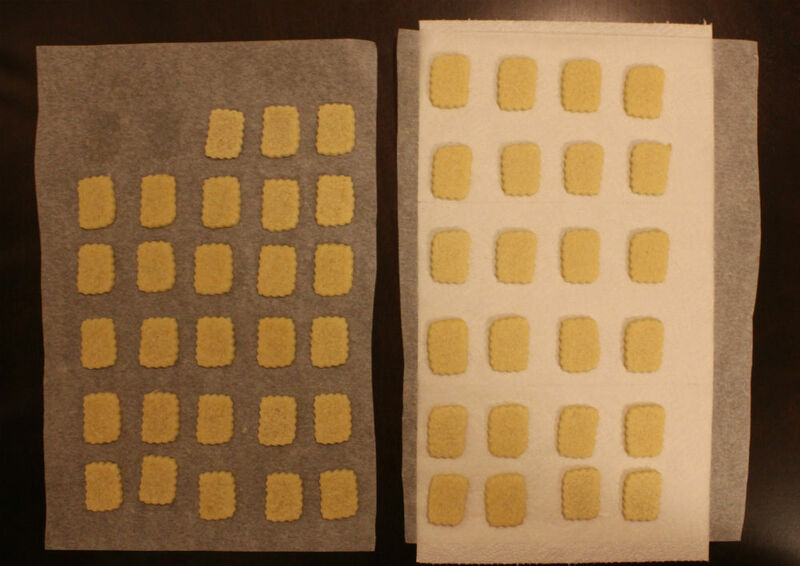 The bamboo cookies fall into this category as well, although I would mention that it’s best to work left to right (if you’re right handed, that is) so as to not smudge your work. 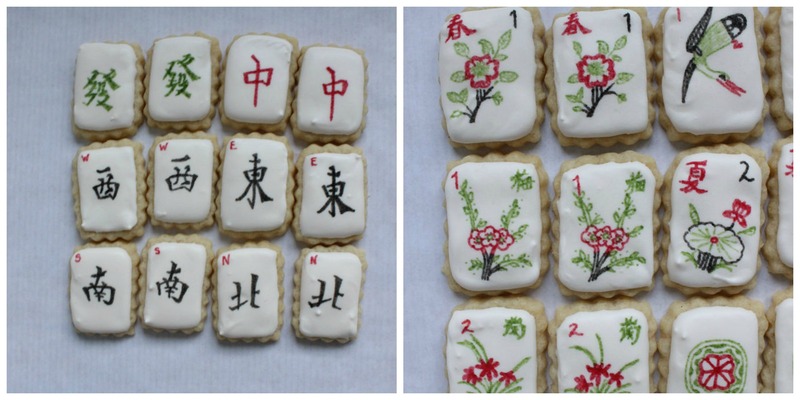 With the Chinese character cookies, again, it was a sort of “look and draw” process. Most of the characters are relatively simple, but it does help to start with the main lines and work out from there. If there was a line down the center or across the top, that was often where I started. With the images, I always started with the biggest part of the design or the center (depending on the image). With the flower tiles, for example, I always started with the flowers and worked my way out from there. With the crane, I started with the top wing. From there, I worked my way out along the neck, head, and beak, then back up to the second wing and body, before finally working my way out to the tail. Be sure to let the designs dry completely (preferably overnight) before packaging or stacking them. 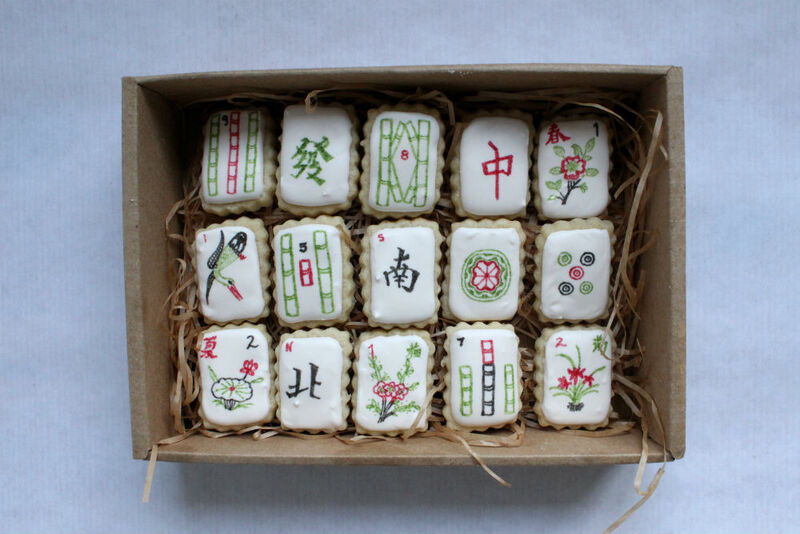 I have to say that of all the Mah Jongg cookies I have seen on the Internet, these are the absolute best. Claire is so very talented and I hope you will all check out her terrific blog, www.thesimple-sweetlife.com. 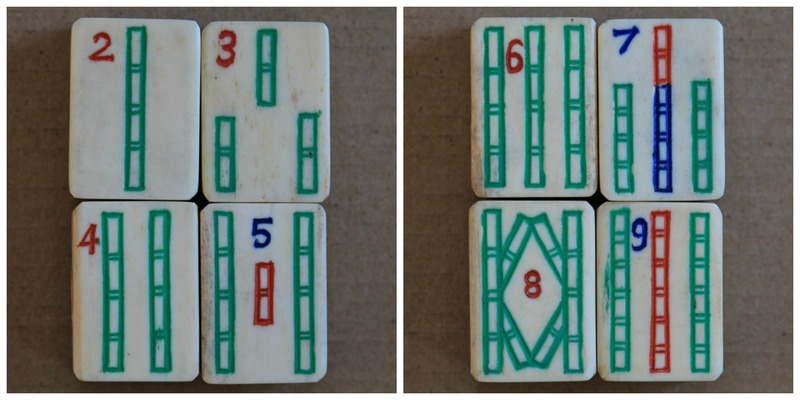 This entry was posted in Mah Jongg and Me and tagged mah jongg, Mah Jongg cookies, simple-sweetlife.com on January 1, 2015 by Mah Jongg and Me. 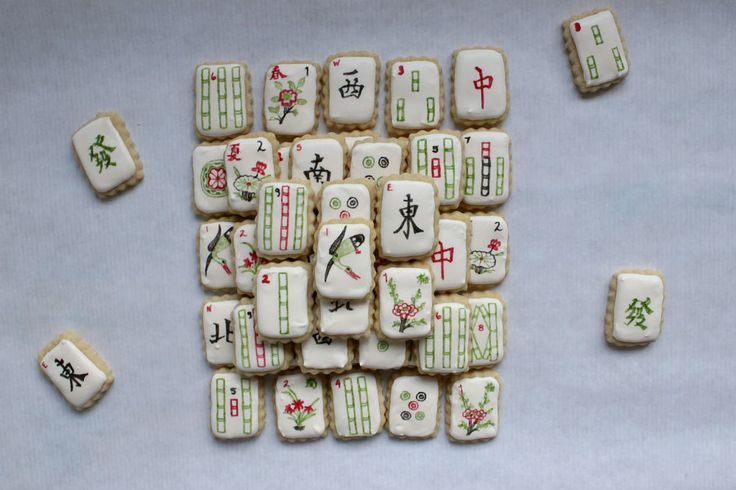 I’ve made Mah Jongg cookies, but mine will never come near the beauty and finesse of these! Does Claire offer these for sale? 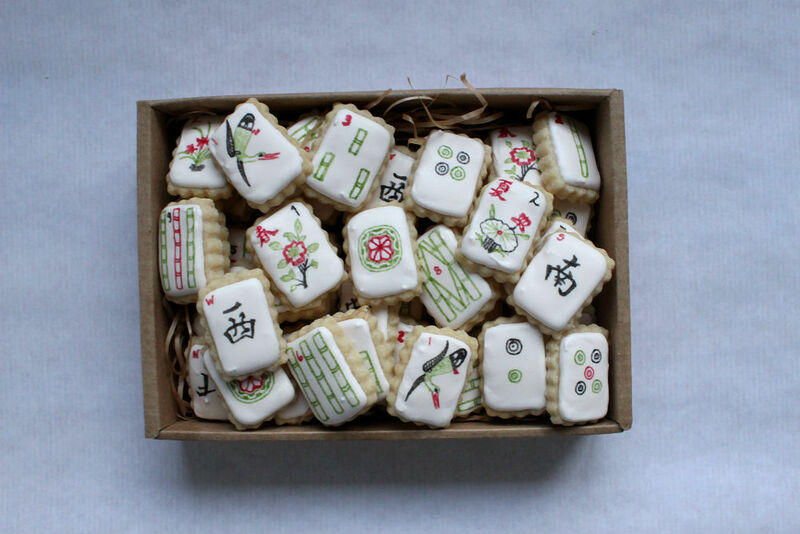 These cookies are much too pretty to eat… can you imagine the hours spent decorating! It seems to me that I remember someone from this blog mentioning Mah Jongg wafer paper for cookies – hmm…I wonder if she ever made them? 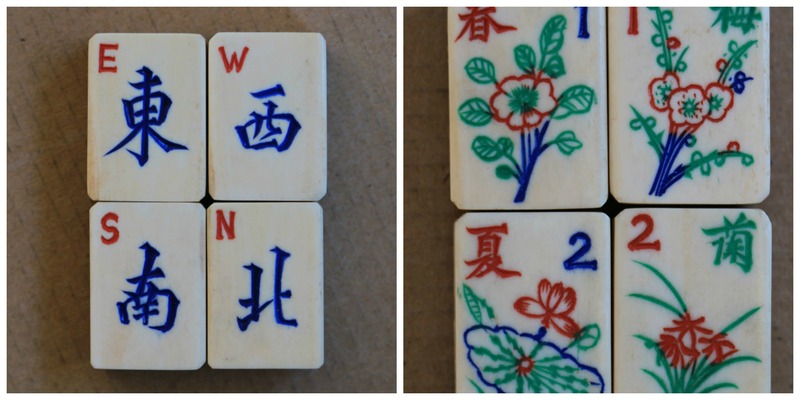 Happy Mah Jongg New Year everyone….all the Best for 2015 and may all your picks be Jokers! Wow! Amazing detail work! It must have taken hours. And I flunked Home Ec. in high school, so wouldn’t attempt. Hi Cheryl – you’ve provided the best laugh of the New Year!